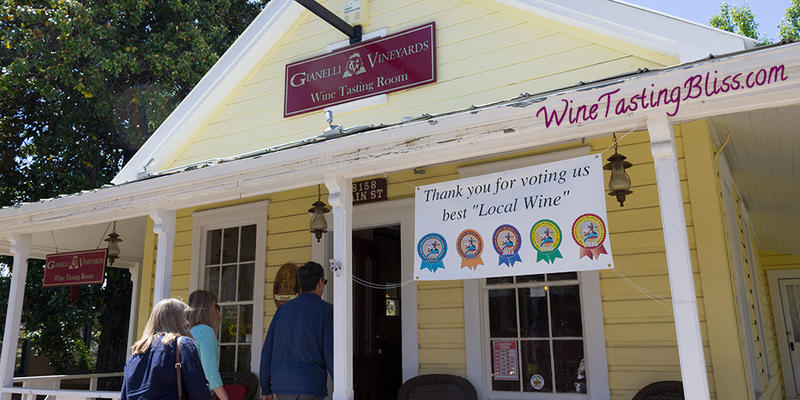 In a tidy sunflower yellow house with a wraparound porch, the Gianelli tasting room is a visual feast of polished wood with bright yellow splashes of color. There is a more than ample bar area and some welcome seating for a more leisurely tasting experience. 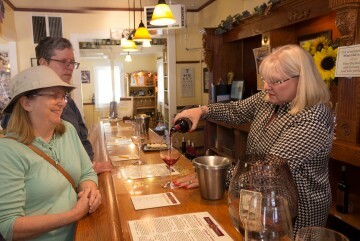 We were greeted by wine guide Claudette as we collected our tasting menus and each selected our first pour. As is our practice, we divided the tasting menu between the four of us, leaving very little wine unexplored. We started with their 2015 Fiano and their 2016 Vermentino from the white wine side of the menu. The grapefruit notes of the Fiano and the apricot, lemon and slate flavors in the Vermentino had us all looking forward to the first hot day beside the pool. Close behind these wines on the “pool perfect” list was their brisk and refreshing rosé of Sangiovese, called Bella Rosato. On the red wine side of the tasting menu we found a number of favorites! A predictable winner on their tasting menu is their 2012 Aglianico. The layers of fruit, featuring bright cherries up front, made this bottle jump to the front of our “take home” list. 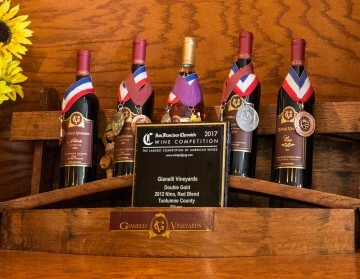 Their rich and plumy 2011 Primitivo and their tart and zesty 2014 Petite Sirah also delivered impressive tastings. These wines also joined our take home list. We completed our tasting with their classic 2012 Montepulciano Port. Talk about finishing on a high note! Tasting completed, we purchased our wine (going way beyond our “one bottle per winery” rule), thanked Claudette for all her attention, and set off toward Murphys. More tasting rooms beaconed in the distance. 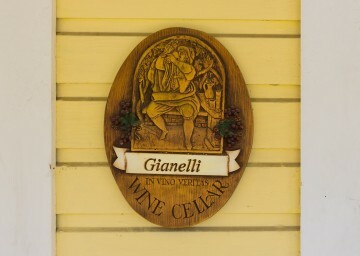 Have you visited Gianelli Vineyards? Click to give'em a tweet of support!